Designed to extend the reach of Harvest's bed bumper bar kits, the Harvest Silver and Black Three Bar Bumper 200mm Extension is an easy way to get a perfect fit without buying a new bumper set. With net inserts, this extension can continue the high levels of protection offered by your pre-existing bumper, providing seamless and full coverage of the bedside. 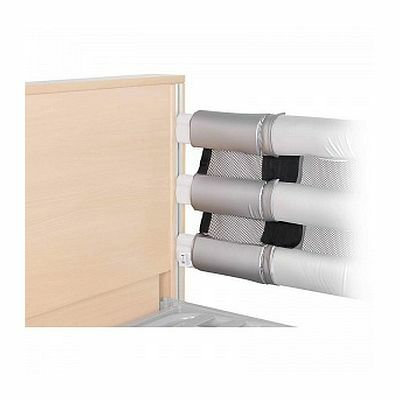 Designed to fill the gap between the side rails and the bed once extended, this extension kit is fitted with net inserts to maximise coverage while minimising claustrophobia. Covered with anti-bacterial Silvosan material that is both waterproof and vapour-permeable, this bumper extension assists in infection control while protecting the bed from fluids and spills.